Z-To-A: Zero Motorcycles Thrives As Alta Fails, But Why? Zero Motorcycles continues to be the most successful electric motorcycle company in the world. Its 2019 lineup announcement continues its history of innovation and offering more excitement and fun per dollar year-over-year. The company’s claim that it has sold more electric motorcycles than any of its competitors is very credible, as well as being impossible to dispute, as none of them release actual production or sales numbers. The highlights this year include more power and range for base models, backward compatibility of high-speed charging, and a luxe set of accessories for the top end dual-sport version, including, at last, a wind screen. It’s worth looking at the change over the years in the bang-for-the-buck from Zero’s products based on Zero’s historical spec sheets, which it maintains online. While the price of the motorcycles has continued to be eye-watering for most people, key metrics have seen sharp improvements. While torque is what most people love about electric vehicles, horsepower still sells better to non-EV types. Zero has focused on this point, with the $$ per horsepower ratio seeing the steepest decline. Second is the $$ per mile of range (combined city/highway), which has also come down quite far. Torque is the flattest decline, in part due to electric motors being inherent torque monsters, as everyone who has driven the tiniest of electric cars knows. 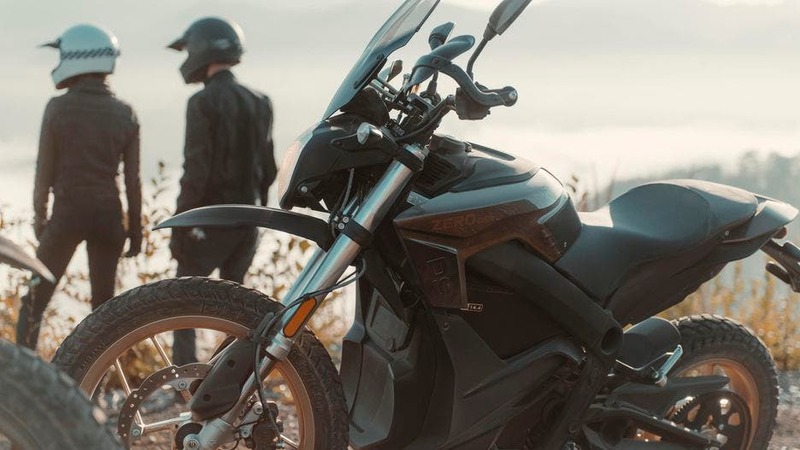 Zero’s bottom-end street bikes have been seeing an interesting trend, as Zero is obviously hunting around a specific range of value for entry-level buyers since its inception. Their $$ per mile of range has barely shifted and in fact has gone up since 2014. While horsepower improved massively from 2011 to 2014, the value ratio has remain flat since then. The range ratio has actually increased, implying that the company listened to its customers carefully and for this segment, this compromise was sufficient. But it did increase the bang-for-the-buck on torque as well, giving urban commuters that extra bit of zip off of the line. This comes on the heels of the unfortunate demise of Alta Motors a week earlier. It’s worth comparing and contrasting the two a bit to see what things Zero has been doing right, and why it is thriving in a period of two-wheeler disruption. But first a reminder of what that disruption looks like. Christensen and Raynor are the go-to people for understanding market disruptions due to innovation with their deeply influential book, The Innovator’s Dilemma. The key point to take away is that top end companies are locked to the requirements of their most demanding customers, while the bottom-end is expensive to sell to and may include requirements poorly met by the best-of-breed products. This allows room for nimble competitors to come in, optimize for poorly met requirements at better price points, and take away those bottom-end customers. Further, the revenue gives them the opportunity to add more and more capability over time until they consume the market entirely. The motorcycle market is challenged these days for multiple reasons in the richest markets in North America and Europe. Prior to the 2008 recession, manufacturers were doing extremely well and selling very expensive bikes in record numbers, something that unsurprisingly collapsed in 2009. Most of the motorcycles that they sold were not primary vehicles or commuter vehicles, but pleasure vehicles of one sort or another for people with cars or SUVs. 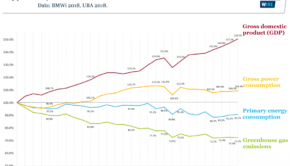 The market is on the increase, slowly, again, but has not recovered. One core group of riders, Harley-Davidson’s, are aging out, with the most recent credible figure showing an average age of 51. Meanwhile, demographics for millennials and younger show that they are much more likely to live in urban areas and as a result have different needs and expectations, as well as a lot less disposable income for $20,000+ toys. The result is an opportunity space for electric bicycles, which have been taking advantage of the lack of lower priced, correctly featured options for especially urban millennials from motorcycle companies. E-bikes bring much lower barriers to entry than any motorcycle, offer many of the same advantages and come at a much lower overall price point when you factor in insurance, gas, more expensive helmets, lessons and the like. Alta’s business plan, technological foundation, and investment pitch has always targeted the full breadth of the $100B+ (and growing) light-duty vehicle space that spans from scooters to side-by-sides. We put our class-leading tech into a highly desirable and influential segment first, and that tactic was proving extremely successful, especially this year. Unfortunately, we found ourselves pinched between a rock and a hard place. As part of the CleanTechnica assessment, use cases for the two-wheeler segment were defined and rated. Zero addressed these use cases more effectively than Alta did, which has given it the ability to continue to gain market share and investment while Alta ultimately did not succeed. Zero’s first motorcycle was a non-street legal tiny dirt bike, but it’s worth highlighting this quote from a 2008 review. The Zero X is so small and light that it feels more like a big, electric mountain bike than anything—quite the easy ride. And in 2009, the company introduced a street legal version of it. Effectively, it was in the range of 2018 electric mountain bike utility a decade ago. That’s a very interesting space. Another commenter on the earlier article on Alta made the point that they had explicitly asked, including in person, for a street-legal version of the Alta Redshift which maintained its better off-road capabilities. But what’s the tallest stacked bar in terms of utility use cases? It’s the dual-sport range. That’s a place where maximum value is unlocked for people who want to get out into nature, but need to drive on the highway to get there. People who want to ride up a logging track off of the Sea-to-Sky-Highway, or poke their way into a campsite by a beach down a dirt road. People who might have a single vehicle, or might have this as their only recreational vehicle. This is where a high-price point which allows more use cases to be fulfilled, even if not as well, is an advantage. This is where Zero has clearly been focusing. The company’s press release talks about its dual-sport capabilities, models, and features 9 times before getting to its street bikes. While this assessment has been focused on the street bikes, the same assessment could be done of the dual-sport models, starting arguably with its 2009 Supermoto through the top end 2019 DSR. It would be even more impressive. And it’s important to note that it’s the company’s top-end dual sport that received all of the goodies in terms of new kit. Does this mean that Zero is going to be able to survive the disruptions to the motorcycle market, especially the competition from the electric bicycle segment (which is splitting and morphing into multiple sub-categories itself)? Time will tell. The company chose to enter a troubled market at a particular point and time and from a particular geography where expectations are high. Its product is still priced higher than any of its gas competitors’ bikes and comes with the customers’ expectations that they are buying an equivalent motorcycle, not a bicycle with an electric motor. Meanwhile, electric bicycle manufacturers are rapidly improving their capability sets, with ABS, dual seats, cargo, increased range, higher top speeds and the like. Zero is better positioned to deliver excellent motorcycles than any of the legacy motorcycle companies. But if the segment shrinks due to electric bicycles, it could end up as a Xerox, not a Canon.